Summary: Jesus freed us from sin and its consequences through suffering and death on the Cross. He delivers our release from slavery to sin and death comes His Word and through the sacraments. The Lord doesn’t seek to grant us parole or a temporary release from our satanic chains but wants us to remain completely free. In order for us to maintain abiding freedom, Jesus tells us that we must abide in His Word. Abiding doesn’t mean casually dipping into Scripture, occasionally communing, or once-in-a-while remembering our baptisms and confessing our sins. Abiding entails a life of total immersion, of absolute trust, and unwavering attention. Yet because we cannot do this on our own, we also cling to Christ’s forgiveness for our failures — even our failure to always cling to Him. He never wavered in His faithful attention to His Father. The Father credits us with this same steadfast abiding for the sake of His Son. 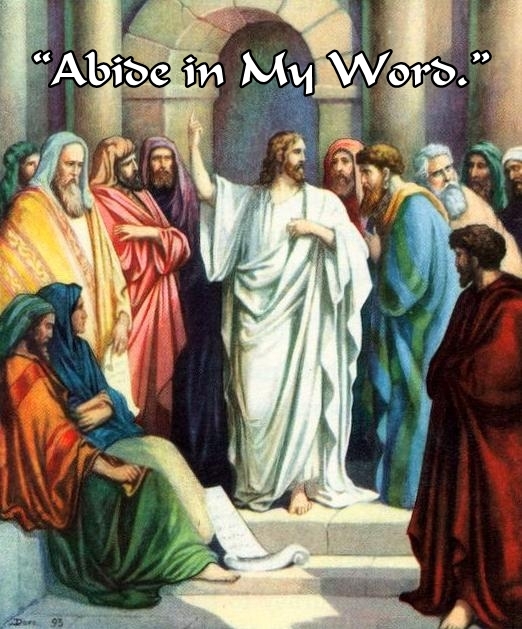 Audio: Click to hear the MP3 of Abide, preached to the saints at Shepherd of the Hills Lutheran Church, Fayette, Missouri.